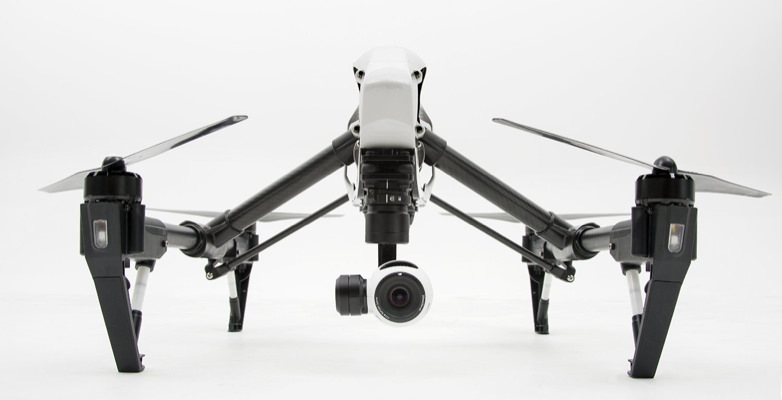 The first thing you’ll notice about the DJI Inspire (T600) is its heavy price tag. 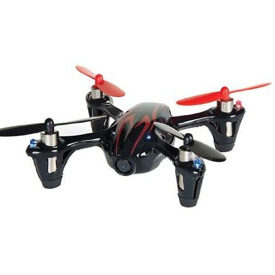 For the price of this one quadcopter, you could buy the whole lineup of 3DR drones and still have money left over for a nice dinner. The price tag does include all the bells and whistles. 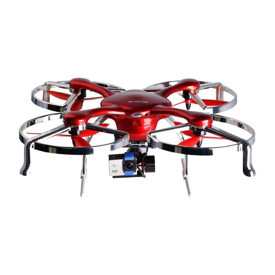 This drone comes standard with a 12.4 megapixel 4oooK HD camera and the DJI ZenMuse X3 gimbal. It also has “Lightbridge Technology” that relays real time information about the Inspire to your smart device. It will give information on your elevation, heading, location, battery level and flight mode when connected through the DJI Go App (iOS 8.0 or later, Android 4.1.2 or later). 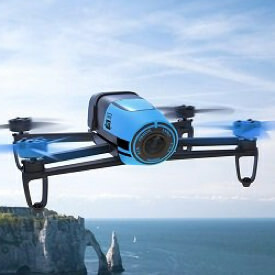 The app will also allow you to fly in first person view (FPV), record video and take still shots. The pix and videos are very clear, but you are limited to the capabilities of their proprietary camera. As with all DJI drones, the Inspire drone has automated take off and landing and the all too necessary return to launch (RTL) function. 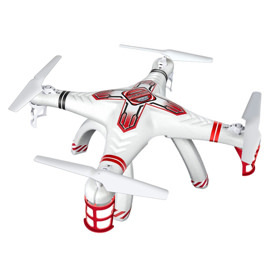 For weighing in at 6.5 lbs, about a pound more than the 3DR X8, this quadcopter gets an impressive 18 minutes of flight time. The Inspire 1 is DJI’s top of the line drone package. All of their latest technology is packed in and they give it a price to match. One of its features is the carbon fiber arms that move up to get out of the camera’s way for a full 360 degree unobstructed view. 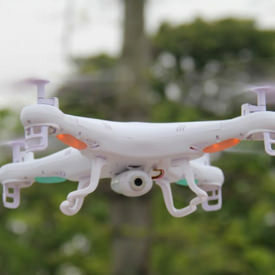 A second controller can also be linked to manage the camera, so filming is independent of the drone’s position. Its large blades, size and weight also allow it to handle winds of up to 20 mph, which makes it good for high altitude photography. The camera is quite good at 12.4 megapixels and 4000K HD, but it is a proprietary unit that does not allow multiple lenses. You are very limited to the capabilities of the DJI cameras. The DJI Inspire comes with a fully integrated intelligent battery that streams remaining battery power to your smart device. It can also let you know when it’s time to fly back. This is all done using the DJI Go App, which sends real time information about the Inspire’s location, heading and elevation to your smart phone or tablet. The one issue that I’ve seen reported is that the app has a tendency to either freeze up or drop the link to the quad. This usually requires turning the app back on and linking the two back up. 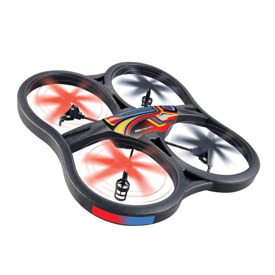 One of my favorite features is that if the battery runs low or connection with your remote controller is lost, it will use its positioning system and smart flight technology to return back to you. The position of the Inspire 1 is constantly updated using a state of the art GPS system. Although this system is supposed to be highly precise and get connected to satellites quicker, there have been many complaints about drift and flyaways. This is a very high tech piece of machinery and in no way classifies as a toy. 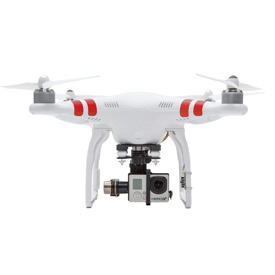 Most people buy and use the DJI Inspire 1 drone for professional photography and filmography. Because of this, many customers have complained about the lack of support from DJI and the 1 to 2 month window needed for repairs. In my personal opinion, I feel that the Inspire 1 drone is a bit overpriced. I prefer a more reliable drone with good customer care and flexibility in camera use.